I am sure you have heard the saying “As easy as a Pie”. But the truth is, for first timers, baking a pie can be daunting and definitely not a simple task. My Pumpkin Pie recipe is extremely simple, delicious and beautiful. I’ve made sure that this pie caters to all of you, so it can be nut, gluten and dairy free, with high nutritional values. We are going to build this pumpkin pie from scratch. So let’s start with the crust. I love crust, in fact when having pastries, I love to eat the crust more than the actual filling. 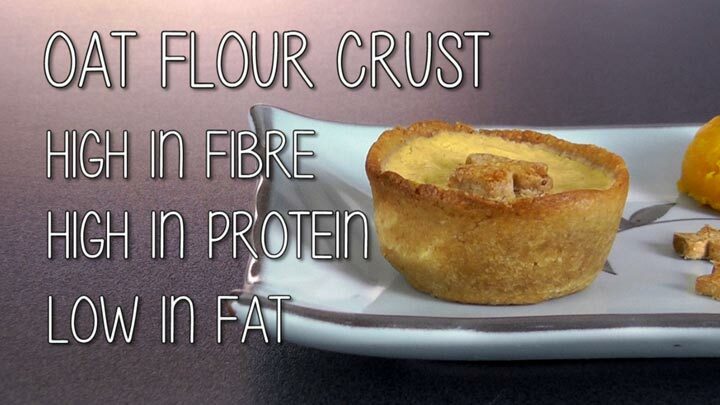 But the typical crusts are high in fat. 1) Pre-heat the oven to 180 degrees Celsius or 350 degrees Fahrenheit. 2) In a bowl, add all the ingredients, the oat flour, milk, oil, honey and salt. Mix together with a fork. 3) Then divide the dough equally into 6 parts and press the dough into 6-muffin tray to form the crust. 4) Bake in the oven for 25 - 30 minutes until firm and cooked through. 5) Allow the crust to cool down. Now that the base of your pie is ready, let’s move on to the filling. Let’s go beyond the traditional way of making pumpkin pie filling and let’s be creative and use ingredients in a different way. Silken tofu is an excellent alternative to make rich and healthy desserts, without the added fat. 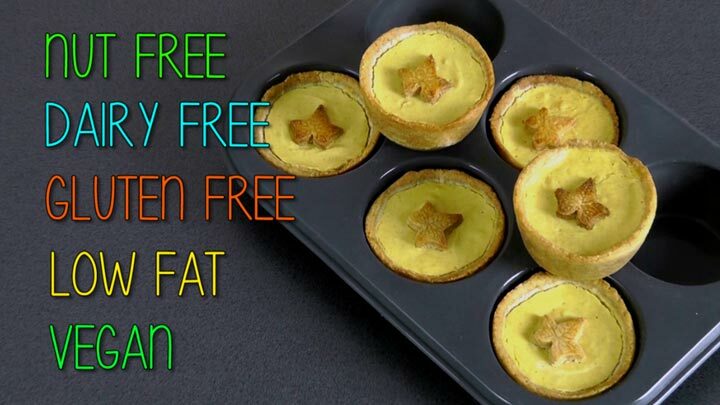 All you will need are 5 basic ingredients to create healthy & delicious mini pumpkin pies. **More if you like a stronger flavor. 1) Blend the silken tofu in a food processor or blender until creamy smooth. 2) Then add the pumpkin puree, honey, vanilla extract and spices. Blend until all the ingredients are smooth and well combined. 3) Scoop the mixture into the mini piecrusts. 4) Finally, refrigerate for at least 4 hours or overnight until the fillings are chilled and firm. There you have it, a ridiculously easy to make Mini Pumpkin Pies perfect for Fall. This pie has a very creamy and custard-like texture. 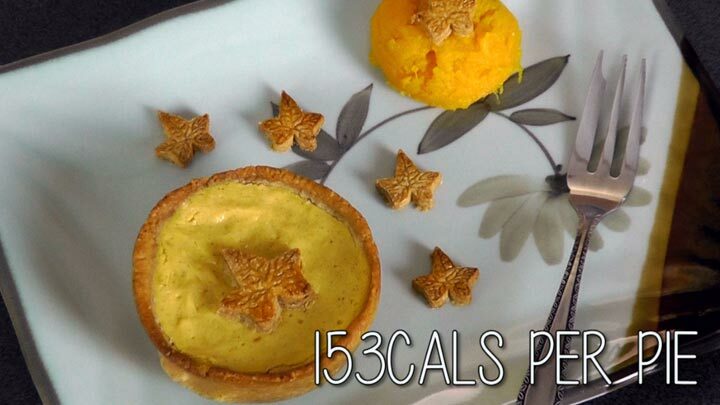 One mini pie has about 153 Calories. Even if this is your 1st time making dessert or baking, I trust you will have a delicious and beautiful looking pie. So be sure to try this recipe and you can have it for breakfast or snack throughout fall.